Does your mind turn to diners when you feel the need for comfort food? If your idea of culinary comfort is chicken fried steak, exotic versions of mac ‘n cheese or a steaming stack of hotcakes, America’s diners can deliver. Here’s a thought—why not plan your next RV camping trip around the best roadside diners in a state or larger geographic region, or along a scenic byway? Where Can I Find Information on Diners? Let’s dive right into the real meat and potatoes. Once upon a time, the rule for finding great diners was ‘where do truck drivers stop to eat?’ Times have changed! The internet now offers abundant information on those cozy places where casual food is king. Start your trip by researching questions like “Where’s the best diner in (my state, the South, New England, and so forth)”? You’re going to find information from a variety of sources. Here are seven sites that either get their feedback from diner fans or do their own research by visiting the grills, greasy spoons and quick-lunch counters in every town. Thrillist.com – that compendium of experiences that offers interesting articles on everything, including diners. RoadFood.com – their map search lets RVers zero in on the best eats in a city, state or region. ExtraCrispy.com – plunges into diner culture in amazing ways, with guides and stories that will get your RV on the road quicker than butter melts on a short-stack. Zomato.com – pick your preferred city from the dropdown and refine your search. Yelp.com – member reviews on just about everything. Searchable by city. RoadTrippers.com – a colossal collection of road trip information, including where to find the best eats on each itinerary. Perfect for RV travelers. Google Maps – pull up your intended destination on the map and then search for ‘diner’. You’ll get a list of local diners and ratings from Google Maps users. One more tip for using these guides to find America’s top diners—most of them also have apps to use on your tablet or smartphone. Just in case you’re still hungry for more information on the diners along your route, you can also read through online travel guides that highlight the best features of an area. You may also know someone who used to live where you’re going. Ask where to find the best 24-hour diners or where you can grab an outstanding burger without visiting a fast food chain. Websites for camping clubs have member forums to discuss things like local attractions and eateries. Your campground host should be able to point you to local diners, too. An RV road trip to experience America’s best diners is one you can scale to fit the travel time available. Start keeping a log of your diner food discoveries, and be sure to share reviews online so the rest of us can follow in your tire tracks. We’ll see you out there on the road! A weekend food fest is the perfect excuse to head down the road in an RV. Today’s post is a delicious concoction of food fest and camping info from five of the best summer fests. Read on for what you need to know to plan your next RV camping trip to US food festivals. Who knows what kind of fun RV campers could get into when two dozen Virginia wineries, a cavalcade of top-notch food trucks and a whole lot of food and wine lovers converge on Bull Run Regional Park? Great food, sassy music and the best of Virginia wines are featured at this fabulous outdoor festival just down the road from Manassas Battlefield. Get your tickets here and make it a weekend to remember! Here’s a link to Virginia RV campgrounds. 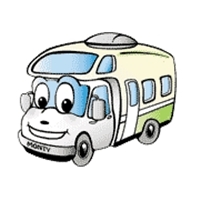 El Monte RV Rentals in Manassas is happy to help with the right RV for your trip. If you love a good cuppa chowda, Rhode Island’s world-famous chowder fest is the place for your next RV camping trip. Heated competition for the chowder crown blends with spicy local bands and fun family activities at Fort Adams State Park. Camp near Newport and make it a long weekend as you discover the mansions, beaches and local charm that make Newport an A-1 tourist destination. Did you know a tomato imported from the West Indies is at the heart of many Creole culinary treats? The Creole tomato is so important to cuisine in New Orleans that a festival is held in its honor every June! Bring the family on this weekend RV trip and let the kids play in Dutch Alley, watch cooking demonstrations and, of course, sample savory dishes featuring the star of the festival. Louisiana RV camping venues can be found here. Here’s the chance to visit California’s magnificent Redwood Coast and enjoy boatloads of fresh oysters as a bonus! The Arcata Bay Oyster Festival celebrates the bivalves that fuel this area’s aquaculture, and it’s a whole lot of fun for oyster lovers, too. Come sample oyster creations from talented chefs, watch cooking demonstrations and get in on family-friendly festival fun. Eight national forests nearby supply unforgettable scenery as you camp, so plan to stay awhile after the festival. Here’s a list of California campgrounds, including those in the Arcata area. Bon appetit! Scenic Humboldt Park is the setting for this enormous celebration of Puerto Rico and its culture, music and cuisine. Come and sample, play and people watch with thousands of festival goers and don’t miss the parade on Saturday! Camping in the Windy City is simple—just use our guide to point you in the right direction. There’s so much to taste, see and do this summer in cities across America! Get started now making your RV camping plans to visit food festivals. Grab your knives and forks and be sure to let us know which ones you can’t wait to visit again next year. The “Real Food” RV Recipe Challenge is Now Open For Submissions! The Real Food Recipe challenge is an opportunity to share your favorite healthy and delicious recipes with the rest of the world. All you have to do is take a photo of your prepared dish and compile the recipe instructions and submit them on El Monte RV’s Facebook page. Decide which dish your family loves when you’re out on the road and follow the simple steps for telling the rest of the RV community about it. All entries will be judged by Lisa Leake of 100 Days of Real Food. Lisa’s blog is a fantastic source for finding ways to incorporate “real food” into your everyday diet. What does “real food” mean? It’s using all-natural and local ingredients that haven’t been overly processed. If you want to learn more about what using real food will mean for the RV Recipe Challenge, read Lisa Leake’s Real Food Defined. Lisa’s blog has lots of tips for making real food that tastes great! 25% Taste: pick your best-tasting meal! Are your pork chops worth writing songs about? Does the whole neighborhood come out when they smell your pancakes cooking? Use your best tasting recipe! 25% Creatively Using “Real Food”: processed white sugar and the deep fat fryer will have no place in these recipes. El Monte is looking for healthy meals that taste great! 25% RV Friendliness: making a great meal work in the limited space of an RV is an important part of the challenge. Can you create a great recipe that works in an RV’s kitchen? 25% Photo Quality: make sure that your photo looks great. The world will want to see what your prize-winning dish looks like! So, get the camera out and start putting your submission together today. Also, make sure you start planning where you’d like to take that free RV rental for your next vacation. It could be yours sooner than you realize! Just think: when you enter the El Monte “Real Food” Recipe Challenge, not only will you be ready for a great vacation, you’ll already know which family favorite meal you’ll be making in the RV along the way! Harvest Hosts Upgrades the Way RVers Travel in the U.S.
As much as we all love RV vacationing, there are certain challenges that come with this method of travel. For instance, where to spend the evening on the road when traveling far distances from one location to the next is a common challenge for every RV traveler! Many RV vacationers may not be aware of their choices in overcoming this challenge of finding a convenient and beautiful place to stay the night while in transition from one destination to the next. Even if there are amazing sites and attractions nearby, spending night after night in Wal-Mart parking lots can become less than desirable. And during the peak vacation season, finding an available campsite is not always possible. Discover another and far better over-night camping option you now have with Harvest Hosts! Harvest Hosts is changing all of that. Harvest Hosts is a program where wineries, farms, and breweries from all over the country open their gates to you for overnight dry camping. Seasoned RV travelers Kim and Don Greene started this luxury-style camping concept in the U.S. after driving over 200,000 miles by RV all over the world. They found that it was common for wineries and farms in Europe to host travelers overnight, but nothing similar existed in the United States. In true entrepreneurial spirit, they started their own version of a European hosting association. From their small and localized upstart with locations only in California, Oregon, and Washington, Harvest Hosts has expanded to include numerous locations across the continental United States, Canada, and even Baja California in Mexico! The program requires a nominal $40 membership fee for the entire year, giving you money-saving access to travel across North America without paying a cent for camping or parking! Taste and Experience the Pleasure of the RV Road Traveler! In return, these small (usually family-run) businesses simply ask that you purchase a bottle of wine or some of their other homemade goods. Sampling local vintages and farm produce is already on the to-do list for most RV vacationers, so it’s a small price to pay for the great company and amazing locations available. Free overnight parking added into the activities that you were already planning on is too good to pass up! There’s really nothing like watching a sunset and sharing a glass of wine with the people that made it. Once becoming a member, you can search through interactive maps that show available hosts and the amenities that they provide. It’s a good idea to call ahead to make sure that the farm or winery you have in mind actually has space for you, though. Many of the hosts are small-time operations that may not accommodate a large number of vehicles at one time. That’s part of the charm, however. Instead of an endless sea of RVs, you get the experience of potentially being your host’s only guest! There’s nothing like waking up to a beautiful morning and being greeted only by the sound of the wind in the trees and farm animals starting their day. Another benefit to being a member is access to a handy app that helps you find locations along the routes you are planning to take. You can also use online forums where you may ask questions of other travelers, read up on host reviews, and even share your own vacation experiences and photos. It’s a valuable tool for selecting the very best spots for your trip. Overall, Harvest Hosts is providing a valuable service for small-town agricultural businesses and the RV vacationers that love to visit them. Get out of the parking lots and start making beautiful memories and having the best RV trips of your life! Once you’ve experienced this pleasurable and memorable RV experience, send us a few photos and we’ll happily share them with our readers and on El Monte RV’s facebook page! Photo credits: RV at Winery by Ray & Roxanne Nottingham courtesy of Harvest Hosts and the wine and food photo by Colleen Lane is licensed under Flickr commons. One of the nicest perks of traveling by RV is saving enough cash to experience the “extras” along the way. Sampling each region’s best seafood is definitely high on our list of vacation extras. This week, we go in search of the very best seafood towns on America’s Northeast coastline. Jump in, the seafood sampling is scrumptious! If we say “Boston”, do you say “clam chowder?” Beantown is a treasured destination for seafood loving RV campers. Insiders tell us that Legal Seafoods, with several Boston locations, has primo Northeastern Clam Chowder. Skipjack’s is also another excellent seafood restaurant. A couple of other traditional Boston seafood “haunts” include the No Name Restaurant and the Union Oyster House which bills itself as America’s oldest restaurant (since 1826). By the way, beautiful Ellis Haven Campground in Plymouth is just 30 minutes south of Boston. Just north of Boston be sure to check out Woodman’s. Don’t let its rustic appearance fool you, you will find some of the best lobster anywhere at Woodman’s. Go two hours north to Portland, Maine for more mouth-wateringly fresh seafood. Definitely plan a stop at the legendary Harbor Fish Market. The selection of right-off-the-boat seafood will bedazzle creative RV cooks. And did we mention that halfway between Boston and Portland is a chance to experience authentic Maine clambakes? Foster’s Downeast Clambake on Maine’s York Harbor features fabulous seafood in a lively clambake atmosphere. Pinehurst RV Resort in Old Orchard Beach, Maine, is fifteen minutes south of Portland, centrally located for your Maine leg of this RV seafood expedition. And if you’re game to drive farther north into Maine, follow the coastline and be sure to sample the region’s quintessential crab shacks. Red’s Eats in Wiscasset is a fine example of Maine’s legendary roadside carry outs. Start your “Boston south” RV seafood search by taking a short drive from Boston to historic Falmouth Village, Massachusetts. Falmouth is where you’ll find the Quarterdeck seafood restaurant, home of the region’s largest lobster salad sandwich! It’s also splendidly scenic, situated right on Vineyard Sound. Meander along the southern Massachusetts coastline, enjoying seafood bisque at Lindsey’s Family Restaurant in Wareham on Cape Cod or the house specials at Mattapoisett Chowder House. Continue your search for great fish, shrimp and lobster in Rhode Island. Towns such as Portsmouth abound with seafood shops like Stonebridge Shellfish, so be sure to pick up salmon, clams or scallops to cook in your handy RV kitchen. Finish your RV camping and seafood feasting tour in Connecticut, with seafood experiences at villages like Noank. The Fisherman’s Restaurant in that town offers a fantastic menu and unforgettable views of Palmer’s Cove. Oh, and speaking of views, don’t miss the view of Long Island Sound from Dock & Dine in Old Saybrook, CT.
There’s still more seafood to be experienced on America’s Atlantic shoreline, but we’ll save that for another post. We hope this quick tour in search of America’s best Northeastern seafood whets your appetite for yet another RV camping adventure! There are hundreds of ways to have fun on a Florida vacation, but we have narrowed it down to four to help you decide. Pick and choose the vacation experiences that are sure to thrill your crew, and then grab your suitcases and get on the road to Florida! By purchasing a Central Florida Play Pass for each member of your family, you’ve bought them a whole world of Florida adventure. Central Florida attractions offer a welcome break from the long lines at other amusements, and there’s something to interest almost everyone. Visit Cypress Gardens theme/water park and don’t miss its world-famous water ski show! Fantasy of Flight in Polk City features an amazing collection of vintage aircraft and lots of activities for the kids. The Florida Air Museum at Lakeland houses the Howard Hughes aviation memorabilia collection, as well as dozens of fascinating exhibits on the development of American aviation. You get all that, plus admission to an art museum, a botanical garden and discount tickets to a first-rate rodeo, just by purchasing a Play Pass. What a great way to entertain your family this vacation! Would you come for a Florida vacation and miss those great beaches? There’s Fernandina Beach, a great pick for families who want the beach without the commercial clutter. South Beach in Miami is, of course, the hot spot for couples and celebrity watchers. For friendly charm and great surfing, try Jensen Beach in southeast Florida. Other favorites include Naples, Fort Walton, Cocoa and Daytona. Try a different one each time you come, there’s something special about every beach in Florida! Scuba and snorkeling fans will find plenty to explore at Florida’s Biscayne National Park. Abundant sea life attracted to the enormous live coral reef make for fantastic photo opportunities and days of diving enjoyment. Other superior diving opportunities for every level diver can be found at Deerfield Beach. One more tip for a great underwater adventure in Florida: Looe Key National Marine Sanctuary (now part of the Florida Keys National Marine Sanctuary), a diver’s paradise with four thousand submerged wrecks to discover! St. Augustine Lions Seafood and Music Festival: join thousands of seafood lovers for three days of fun every March in St. Augustine. Lots of kid-friendly activities, great music and a giant crafts fair. Jazz in the Gardens: also in March, jazz lovers will find some of the best in the genre at Dolphin Stadium in Miami Gardens. Join thousands of fans for a rare opportunity to hear an eclectic blend of jazz in a party atmosphere. Suwanee River Jam: if you love country music, plan your Florida vacation around this giant music fest in Live Oak every April. First-run country acts share the stage at Spirit of the Suwanee Music Park for three days of jam sessions, great performances and a party you won’t soon forget! World of Nations Celebration: Jacksonville’s the place to celebrate the food, dress and music of almost three dozen countries at a giant multi-cultural extravaganza the first weekend in May. Get ready to thrill every single one of your senses at this amazing four day event! Florida Winefest & Auction – Wine lovers will not want to miss this annual event. Epcot International Food & Wine Festival – Another one for wine lovers held at the Epcot theme park in the fall. There you have it – a sampling of some of the best a Florida vacation has to offer. Pick one experience, or sample a whole buffet. Whether you’re travelling with the kids, by yourself or with that special someone, Florida’s got the perfect adventure for you.